A perfect beach and safari adventure. 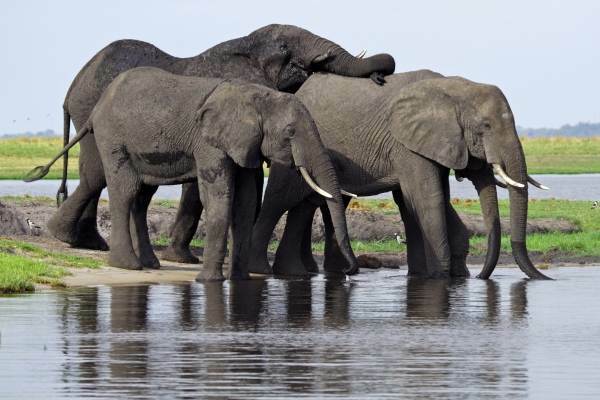 This tour takes in some of Africa's most famous game reserves including the Okavango Delta, Chobe and the Serengeti. Relax on the tropical beaches of Malawi and Zanzibar. Okavango Delta - Makoros (traditional canoes) & nature walks. An early morning departure from Johannesburg, as we begin our safari to Victoria Falls. We head north west to Botswana. Crossing the border we continue to the town of Kang, the gate way to the Kalahari – home of the Bushmen. We head north into the Central Kalahari. We spend the evening in the Ghanzi district, where we get an opportunity to encounter the San people. 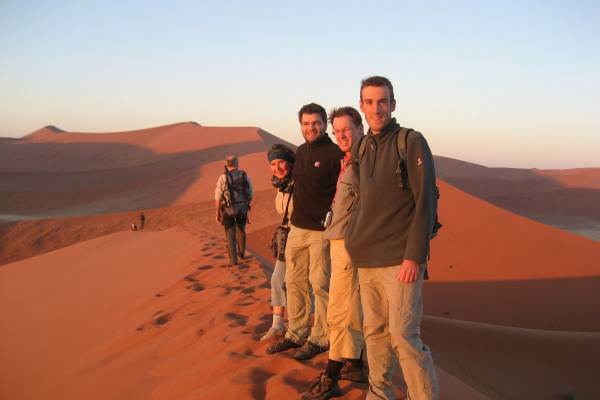 We have the opportunity gain interesting insights into the daily life of this nomadic tribe and about survival in the desert. We enjoy a guided walk as well as traditional storytelling and dancing. Today we leave the harshness of the Kalahari and head for Maun – the frontier town. The landscape changes from the harshness of the arid Kalahari to the lush Okavango Delta. We spend the afternoon relaxing (or one can enjoy a scenic flight). The guides will give a briefing to what is required as there are restrictions on luggage size. We spend the next couple of days exploring this amazing eco system. 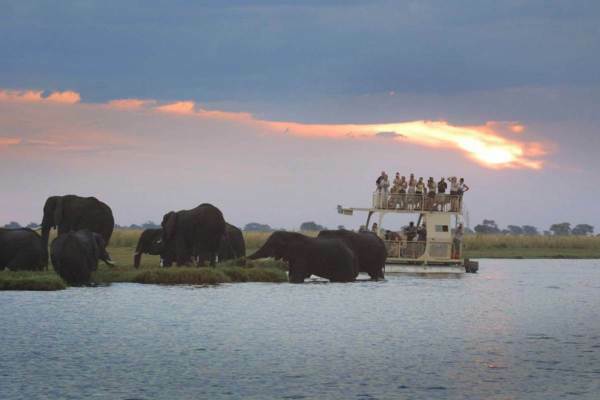 The Okavango is a maze of waterways and flood plains and home to many species of wildlife and birdlife. With our local guides we spend time poling and doing nature walks. Hippos and crocodiles laze on the banks, while larger animals are found on the numerous islands. 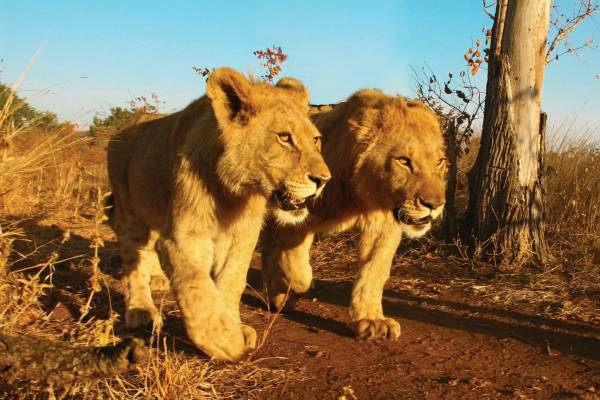 The delta is one of the last true African wilderness areas and offers a unique view of the African bush. We leave the delta and head north through the tribal areas. We cross into Namibia and spend the day travelling across the Caprivi area. 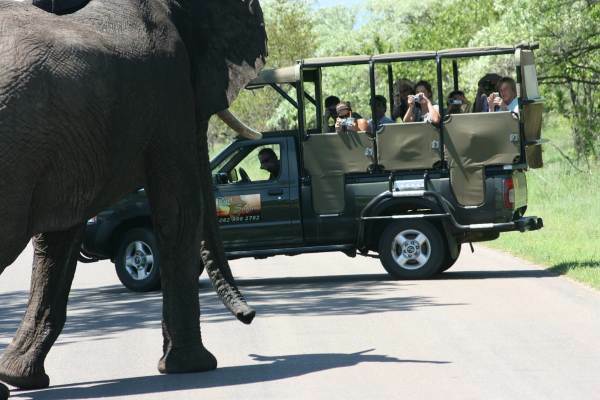 This is a wildlife area and one can expect to spot animals along the road – including giraffes and elephants. We spend the evening in Namibia near the Botswana border..
A final chance to explore Stone Town and perhaps buy some gifts and curios. In the afternoon we ferry across to Dar es Salaam, pack up and head to the town of Bagamoyo. This morning we head to the safari town of Arusha. En route we may get a glimpse of Mt. Kilimanjaro. 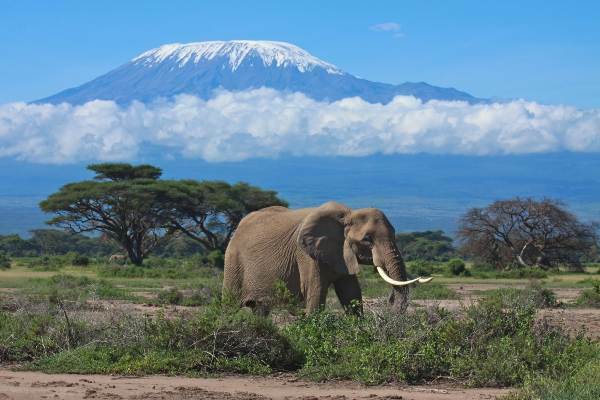 Arusha is a bustling frontier town and is the gathering point for the Serengeti safari.